I was hoping to discover some kind of a problem that could cause your system to answer the phone (this disabling the ringback) before you actually answered at the hub. This might be caused by joining the phone and wall ports of the hub with an existing landline. But that does not seem to be the case in your configuration. With no connection between the wall and phone ports the only thing the existing landline might cause is some interference with the scout. Again, not the problem you are seeing. The only other question I have is in regards to the Panasonic cordless you have connected to the hub. Is it a DECT 6.0 phone system or either 2.4 or 5.8 ghz? If it is not a DECT 6.0 phone it might be doing something nasty due to interference with the wireless router. Try disconnecting the base and power supply and swapping it with a corded phone and see if you still have a lack of ringback. I know it's a stretch, but probably worth looking at. sorry for the slow response, been away from home. the panasonic connected to the hub is a DECT 6.0 phone and the router is powered down most of the time. i have tried testing ooma with the router turned off & turned on, computers accessing the internet & not accessing the internet to see if bandwidth issues are the problem, but i still have problems with no ring tone. tested this morning (7am PDT) before router was turned on & i got not ringtone. tested as i am writing this post, router turned on & internet activity, and again no ringtone. I am having the exact same problem and also am in the 919 area code. Don't know if there is some pattern with that. I have called Ooma support more times than I can count and have repeatedly been told that someone will get back to me within 48 hours. No one has ever gotten back with me. My wife is begging me to get rid of Ooma so their days are numbered if they do not fix this soon. The last time I called, they told me that there was a problem when the number was ported. However, I have Premium and get the same problem with my non-ported number that was supplied by Ooma. AT&T landline phones get no ring. T-Mobile cell phones get no ring. Verizon cell phones get a ring after a slight delay. AT&T cell phones get a ring. this is a problem with the telco partner ooma is using in your ratecenter. Contacted Ooma support last week. I was refered to a level 3 tech who would send an email or call. So far, neither has happened. I tested the Ooma line from my still connected landline yesterday 4 times. 2 times it worked (once before 6 a.m., the other after 11:30am. ), 2 times it didn't (both between 8 a.m. & 10 a.m.). Tested 2 times today (6 :30a.m. and 11:00 a.m.) and both times worked. Just tested a few minutes ago @ 8:45 p.m. and it didn't work. I will be calling tech support for a status tommorrow. Just to bring everyone up to date, I've been fighting this problem since purchased way back in Feb or March of this year. It seems that phones close to our house seem to have more problems than phones further away. Both neighbors on either side almost never get a ring tone. My in house landline gets a ring tone about 50% of the time. On the other hand, when people call from 10 or more miles away, they never have a problem. Cell phones almost never seem to have an issue. I say "almost", because when we first started to realize the problem back in April or there abouts, I did have this problem calling from my cell phone to home from about 2 miles away, but have not had that happen since then. Will keep working this problem since we don't get to the break even point for another 5 months. Having the exact same problem here with a 516 area code number. The problem just started yesterday. I tried resetting everything and even putting the hub behind the router. Problem still there even when I call from my cell phone. I have a Cable Modem and only using the hub - no scout or landline. This happens to me too intermittently. It used to be a serious issue in the beginning but customer service fixed it. But still occurs once in a while. Almost certain nothing wrong with your HUB /TELO or your phones. Let C/S know they will take care of it. Give it some time though. Also, if you guys could have exact dates/times off the call log handy it would help C/S with troubleshooting. I am having this same issue, and have yet to receive any good answers from the support line, which I have now called 3 times. The first time, they told me to reset my Hub, which I did, but it didn't resolve the problem. The second time they told me their systems were down and they would call me back in 10 minutes. They didn't. So I called back later, at which point the support person seemed to take a couple notes, and said they would have someone run a couple tests and see if the problem was fixed in a couple minutes. I expected that I was going to be put on hold and that the "technician" would check back with me momentarily, but the call was ended abruptly instead. The problem remains. I am in the 919 area also. 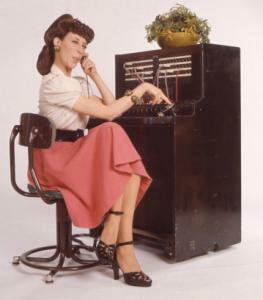 If caller actually dials the area code (10 digit dialing), they hear the ringback tone with no problem. However, if they just call locally using 7 digit dialing, they hear dead air until I pick up or voice mail picks up. My problem has finally been fixed. I was lucky that I was able to test my system several times a day (we kept our landline for home security purposes) and kept a log of when the problem occurred. I also had the problem w/ my next door neighbor. So I had 2 phone numbers I was able to supply to the CS for testing. I don't know what they did, but it involved the local phone company. They didn't tell me the exact problem, but said that several things were tried by the phone company & an error in their system was corrected. For what it's worth, our landline had a success rate of about 50%, while my neighbor's line failed about 99% (I think it worked 2 times since we installed Ooma in the early part 2009). To my knowledge, the issue is fixed, my neighbor now hears the ringtone everytime. I don't know if it is a fix per phone number or a general circuit type fix, but no one else who has called has mentioned not hearing the ringtone. The only issue now is that I do not see the caller ID of my neighbor. It still lists the caller ID as "Out Of Area". I told the CS that I would check to see if my neighbor has called transmission blocked or if it is turned off in some manner. If it isn't, then I will open up another trouble ticket under another issue of Caller ID not being displayed. This issue was not really addresed until I kept calling to get an update on status and it finally got escalated up to a higher teir of tech support, so just keep calling every2 weeks or so & document the day & time when a call came in that didn't hear the ringtone. They may ask for the caller's phone number as well to check the call logs & local phone company config. Just hang in there. It took us from early 2009 until the now to get this issue resolved, but now we are recovering our investment in Ooma & hope to break even within the next 6 months.